Finding life in space is a very difficult task because there are so many different factors that must be considered for life as we know it to thrive. It has to be a fairly solid planet that we can actually land on and not fall through. It has to be within a certain distance of its sun so that we do not burn to death from the heat or freeze to death because there is little to no sunlight. While there are many other factors, perhaps the biggest one is something to protect the planet surface from all of the cosmic and solar radiation that occurs and constantly bombards the planets and moons. When we think of life in the oceans of Europa, we hope that its icy layers will contain and protect the ocean below. When we consider how we are on Earth, we are protected by the atmosphere. Understanding our atmosphere, we realized that some of the neighboring celestial bodies might have had their own atmospheres at one point in time. An atmosphere is basically a very large layer of different gases that are held in place by a planet’s gravitational force. The gravity must be high enough and the temperature of the gases low enough so that the atmosphere does not deplete over time. For the purposes of life, the gases that makeup and atmosphere must include oxygen at a high enough level to make the planet breathable. Oxygen makes up about 21% of the gases in the atmosphere of Earth, which is enough for us to continue breathing. The atmosphere does many important tasks. As we mentioned, it protects living matter from solar radiation, cosmic rays, and solar winds. Aided by the magnetic field around Earth, the atmosphere gases absorb and sometimes deflect some of those deadly things trying to get past it. If we were exposed to all of the radiation, it would cause chaos in our DNA that could result in the end of life as we know it. The atmosphere also provides protection from things like meteors because it causes them to burn away and leave barely anything behind. If any meteors do hit, the winds will cover them up and make it seem like they never happened. Things like wind erosion, a component of having an atmosphere on a rocky planet, also affect areas like mountains and volcanoes because it slowly chips away at them. Another important component of the atmosphere is atmospheric pressure. Atmospheric pressure helps on Earth helps to ensure that water can be a liquid and we are not crushed, due to high pressure. It also helps to prevent the loss of enough of the gases, due to low pressure, to shrink the atmosphere. 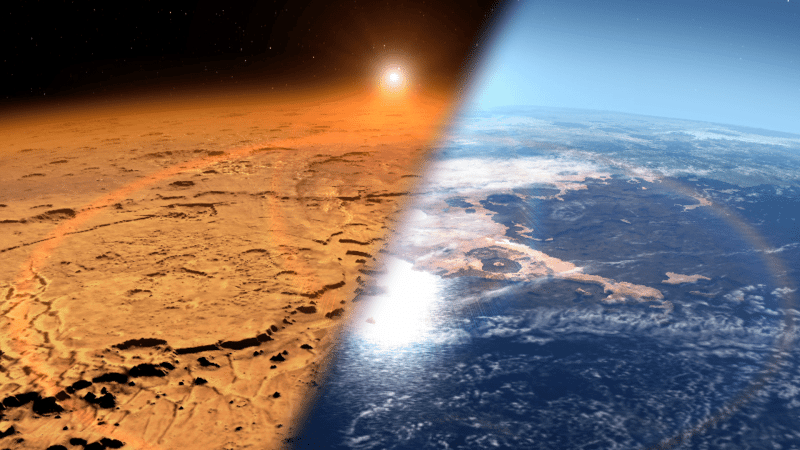 The atmosphere of Mars is composed of gases, with carbon being the bulk of it at 96%. It is a thin and cold atmosphere that has only minute traces of oxygen, so it cannot currently support life. This thin atmosphere is really conducive to supporting life or protecting the planet from radiation and other bad things from space. However, evidence suggests that Mars had a stronger atmosphere similar to Earth billions of years ago. We know that there are remnants of bodies of waters and elements that are indicative of a more stronger atmosphere. There might have even been life all those billions of years ago. That all changed when some event turned the atmosphere into what it is today. NASA’s MAVEN showed evidence in 2015 that Mars was losing its atmosphere to space. They found that most of Mars atmosphere was lost to space due to solar radiation and solar winds that stripped away the atmosphere because its magnetic field could not protect it like ours do. Since this occurred billions of years ago, the Sun was much more volatile back then and released more intense radiations and winds, resulting in the Mars today. They measured this loss by looking at noble gases, which are unreactive to most things, at the upper atmosphere and surface because the difference would tell us the loss. The noble gases on the surface would remain as they were billions of years ago and the ones in the atmosphere would have been pushed out due to solar winds. 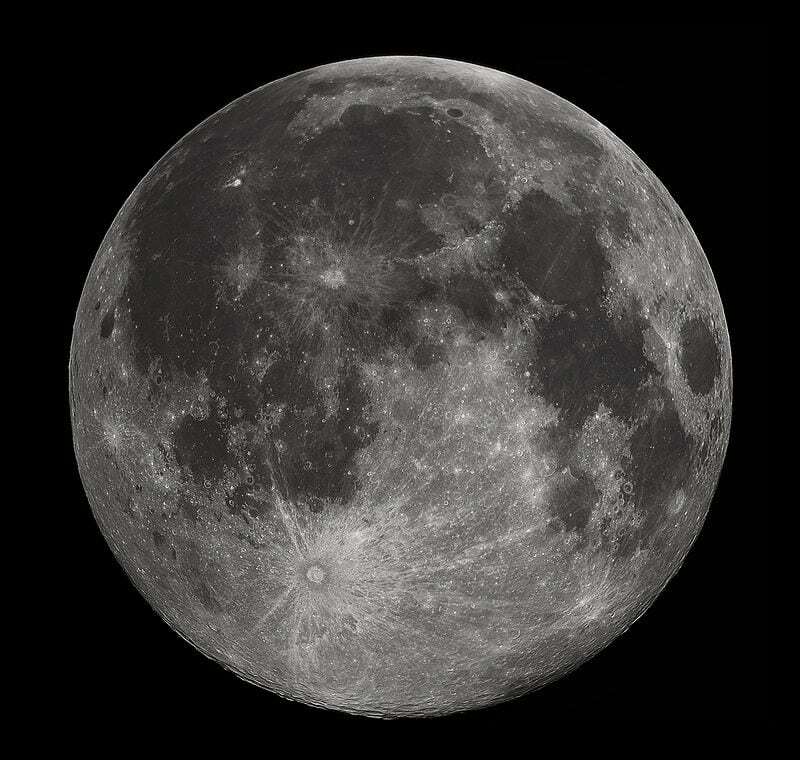 The Moon is littered with craters from taking numerous impacts from meteors because it does not have any sort of atmosphere to protect it against those bombardments. Recently, researchers at NASA found that the Moon had its own atmosphere about 3 to 4 billion years ago. The Moon was very volcanically active in its younger days based on Apollo samples we found of volcanic materials. Using the current samples, the researchers estimated the amount of gas that would breach the surface and expand above it. The gases accumulated over time and formed a transient atmosphere about 3.5 billion years ago. This atmosphere persisted for about 70 million years before it depleted into space due to a lack of gravity to contain it as well as solar winds and radiation. Now that the moon has cooled considerably, there is not much chance that anything like this can happen again. If it did, it would be a volatile situation and make any lunar missions very difficult if not impossible. With the volatile nature of the past, it is unlikely that the moon had life on it but more research would be needed to confirm or correct that claim. With new missions like the gateway project by NASA, we will be able to learn a lot more about the past of places like the moon and Mars. If life was on Mars, it would probably have been microbial. Getting to a manned mission to Mars would allow us to search for clues as to its potential past. If the moon has any other secrets, having a lunar colony on it would go a long way to finding those secrets.